Tair-11 133mm f/2.8 133 mm ? sound interesting, every maker issue lens in 135mm focal length this lens is different but not just from this point of view. Looks big, heavy and pretty :) and excellent performer. I suppose this lens would be a very good portrait lens. Very well built lens, it has almost perfect aperture circle. 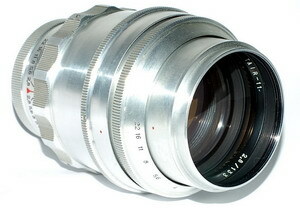 I like this lens very much, because good looking, excellent performer and more than 50 yrs old. Rare item ,hard to find on the market if you have a chance to grab it , don't hesitate you won't be disappointed! Big, heavy, but pretty nice. Must have been made from re-cycled tank barrels. There are lighter 135/133mm f2.8 lenses about - even with a huge amount of aperture blades - like the Meyer-Optik Orestor for instance. I have the 100mm f2.8 Orestor as well and it is quite amazing how much larger a 135mm has to be at f2.8 over the petite size of the 100mm version.